This lost teaching and learning time can be avoided by having a systematic approach to discipline and classroom management in place right from the beginning. The trick is finding a plan that is not only consistent and effective, but is also easy to use. Green – Draw a large, smiling face at the top with the words “You are doing great!" written underneath. Yellow – The word “Caution" should be written at the top, with the words “You have my warning" written below. Red – The word “Stop" should be written at the top, with the words “Your parent(s) will be notified" written below. Purple – The words “Lose Privileges" should be written at the top, with a list of potential privileges to be lost written below. These privileges may include a loss of recess time or an inability to participate in special classroom activities like a good behavior reward party. Orange – The words “Severe Clause" should be written at the top, with the words “Go to Principal" and “Parent(s) will be phoned immediately" written below. Teacher: "Tommy, I see that you are poking Jimmy with your finger in line. One of our classroom rule is to "Keep your hands, feet and objects to yourself." I would like you to stop poking Jimmy and instead keep your finger to yourself. If you choose to continue this behavior, the next step is that you will be asked to flip your card." Let's imagine that Tommy continues the behavior, or engages in another negative behavior that is disruptive or an infraction of the classroom rule. The teacher should calmly inform the child that he now has a "verbal warning" and instruct him to walk to wherever the classroom discipline plan is displayed and move the card in front to the back of the pack so that the next card is displayed. In our example above, this next card would be the yellow card with the word "Caution" written at the top, and the words "You have my warning" written below. This procedure will continue, with each infraction or disruption causing more significant punishments as laid out by what has already been written on the cards. The one exception would be the orange card – or the "Severe Clause". The Severe Clause is available when the disruption or infraction is significant or dangerous – either to the student or to others in the classroom. Examples might include throwing a pair of scissors, fighting, or foul language. In this case, the student does not receive a warning or loss of privilege. Instead, they are sent directly to the principal's office and the parents are phoned immediately. To encourage students to follow the rules you have set forth for your classroom discipline plan, reinforce appropriate behavior with verbal recognition and praise, positive notes or phone calls home, individual certificates or classroom rewards. Life-long success depends on self-discipline. 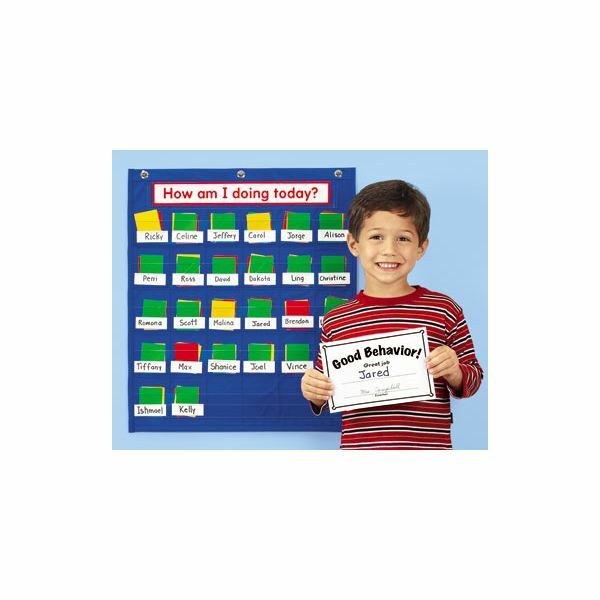 Using the card system as a part of your classroom discipline plan gives each student the opportunity to manage his or her own behavior, and encourages the most positive educational climate possible for academic growth. After all, isn't that what every child deserves?